You've assigned a person to be on point with PR. You've set goals and deliverables. You're confident that you've got it right, and then...ooops! How did that happen? Do any of these situations sound familiar? Read on for ideas and advice on how to get the most out of your PR decisions and people. Too often, the in-house PR team (or person) is treated as a support function and pulled in many directions. They may function as a community liaison, social media director, special events coordinator and just about anything else that marketing or HR needs. In many cases the C-suite is more likely to heed an outside PR consultant's advice than an in-house staffer tasked with the job. Outside perspective is a powerful thing. When you engage an outside communications agency you hopefully have confidence in their knowledge of PR strategy, media relations and storytelling. The best agencies start delivering benefits right away: determining the best strategy, identifying obstacles and solutions for overcoming them, leveraging their relationships with media, and adeptly steering the C-suite by telling them what they need to do and say to deliver the best editorial results. 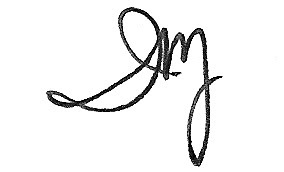 Additionally, outside consultants bring in services that may not be available in-house, offering and executing strategies to enhance brand reputation, thought leadership and more. The scope of possible communication challenges and opportunities is considerable. Here are a few compelling situations and reasons for you to tap outside PR expertise, including some real scenarios we've encountered with our clients. Would you benefit from objectivity? Your in-house experts are new to writing thought-leader content; as a result they get too insular and rely on context that is well known and does not present a unique point of view. They need a nudge and a fresh perspective to challenge assumptions and make a case. You've asked inexperienced staff to do work they have never seen before. While capable, they would benefit from a coach to help them recognize the key questions to ask, to anticipate the responses or consequences of alternative ways of handling, and to navigate the new situation. Your company is embroiled in a situation that could lead to litigation or negatively affect your stock price. We saw this when video was recently captured of United Airlines employees forcibly removing an elderly passenger. United's CEO Oscar Muñoz, did not immediately issue a formal apology to the passenger. His clumsiness (at best) or callousness in apologizing to other customers on the flight whom they had to "reaccommodate" was tone deaf and had severe effects on everything from the public's trust in the company to its stock price. You're concerned about a disgruntled employee or business partner. They may have bashed your brand or people on social media or contacted the press. Or you're worried that they will. A fresh perspective can help you develop a strategy for mitigating any problems or prepare messaging to smoothly prevent, anticipate or address damaging statements. Creating content is one thing. Developing a cohesive communications strategy is quite another. While content is all about style, strategy requires planning, deciding how to best engage your audience, and choosing the optimal path toward achieving your organization's goals. Being able to rely on an outside PR professional to collaborate with your social media staff ensures that your brilliant content will sync up with your overall strategy and messaging. Fresh eyes and seasoned communications experts can help brands assure that content is effective and on message, helping companies avoid social media "fails" ranging from falling flat (at best) to catastrophically damaging a brand's reputation. 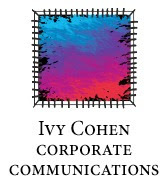 Ivy Cohen Corporate Communications helps companies build reputations and differentiate in a competitive market through thought leadership, public education, issues management, content strategy, and strategic communications. To find out how ICCC can help you and your company build your reputation contact ivy@ivycohen.com, call 212-399-0026 or visit www.ivycohen.com.